Belfast-based performance group Bbeyond has initiated a global performance art day, where performance artists from across the world will perform in their local public spaces. It is a collaboration of 37 Performance Art Groups worldwide making public group action on 22 September 2016. WELCOME and turn up your speakers to listen to the incredible sound of Bartolomé Ferrando! 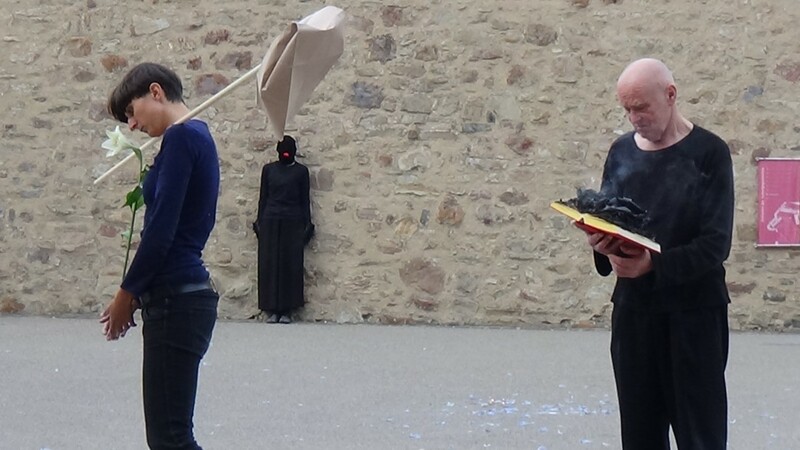 PAErsche joins this with an “Open Source Group-performance” at 4pm at fortress Ehrenbreitstein, Koblenz, Germany. With the following artist: Yingmei Duan, Béatrice Didier, Boris Nieslony, Rolf Hinterecker​, Thomas Reul, Marita Bullmann, Ute-MariePaul, Anne-Louise Hoffmann, Anja Plonka, Mark Met​, Carola Willbrand and Karin Meiner. We are looking forward to see you there and be with all others in spirit!